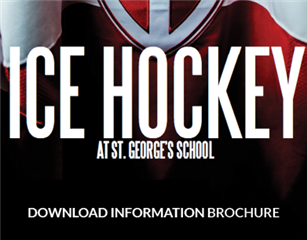 Ice hockey is one of Canada’s national pastimes and, as Canada’s World School for Boys, Vancouver’s St. George’s School offers talented student-athletes a hockey program that is motivating, demanding, and transformational. This program is part of the School’s overall compulsory Games Program, which offers 19 competitive and more than 30 recreational sports programs. St. George’s School offers all age-appropriate students who meet the School’s admission requirements, the opportunity to also apply to play for a Bantam Varsity (birth year 2005-06), Bantam Prep (birth year 2005-06), and two midget-aged teams (details TBA). These teams are registered with the Canadian Sport School Hockey League (CSSHL), an organization whose mission it is “to be national leaders in education-based hockey.” In the coming academic years, we expect to fill out our hockey program by adding additional teams to accommodate older age categories. Jaroslav ‘Yogi’ Svejkovský is a former National Hockey League (NHL) player who made his debut with the Washington Capitals in 1996. In 1999, Svejkovský was traded to Tampa Bay Lightning and then spent the 2000 to 2001 season in the International Hockey League with the Detroit Vipers. Svejkovský is currently a Skills Coach with the Vancouver Giants of the Western Hockey League. The coaching team is comprised of qualified faculty and staff, a select few Old Boys with high-level hockey experience, and position-specific or skill-specific experts. Two afternoons (after school) and two morning sessions (6:45 am and 7:00 am) per week. This includes a skills session and goaltending training weekly. Two afternoon sessions per week. Skating coach sessions and specific defence and forwards sessions occur biweekly. *On-ice training, home games, and fitness and dryland sessions are hosted at the University of British Columbia. 50 games, including showcases, tournaments, championships, etc. Payment plans for the 2019-20 season are available upon request. Please contact Chris Blackman at cblackman@stgeorges.bc.ca for more information.